The UNE Student Nursing Society (or UNESNS) was established in September 2016 by former UNE Nursing Student and UNESNS President, Kimberley Dean. The SNS is a student-run society who is supported by UNELife through SAFF Funding. The society was formed to promote a sense of unity between UNE Nursing students and to support and enhance the experience, welfare and wellbeing of UNESNS members through social, educational, cultural and charitable activities and functions. The committee itself is made up of roughly ten committee members each year, four of which are part of our executive (this includes the President, Vice-President, Treasurer and Secretary). However, there are many other positions that are filled each year through a vote done by nursing students. These positions include a number of representatives in different roles, events coordinators, an Academic Support Officer, IT Presence, Media and Sponsorship, and so many more. Each nursing student is eligible to run for any position each year and requires no previous experience. UNESNS prides itself on the large array of events that are held each year. 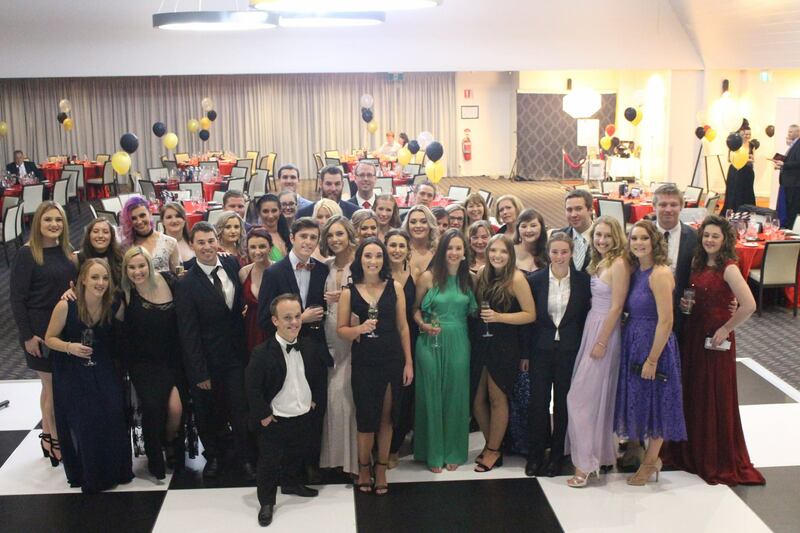 There are a number of BBQ’s held each year, we have an annual ball, a career’s night, host a Stro’ Night as well as having a presence at other university-run events such as Lifesaver day at the very start of Trimester 1. Each year, someone is elected as an Academic Support Officer for the society. This role is based around providing support to all nursing students as the use of a ‘referral service’. The contact details of our Academic Support Officer are located in our Moodle page where you are able to email your concerns and they will be able to get back to you in a timely manner about your concern. However, our Academic Support Officer is not able to read over essays or to be there to provide a tutoring service, but they are there to provide support, reassurance and be there to help you to teach you how to be academically independent. There are three positions each year that are in specific relation to representing different groups within the course. There representatives include our International Students Rep, Externals Student Rep and our Indigenous Students Rep. These Representatives are there for students to get in contact with about any concerns as all. Our Representatives are here to support you and if they aren’t able to give you the proper support or help that you may need (whether personal or academic), they are able to put you in contact with someone who can.